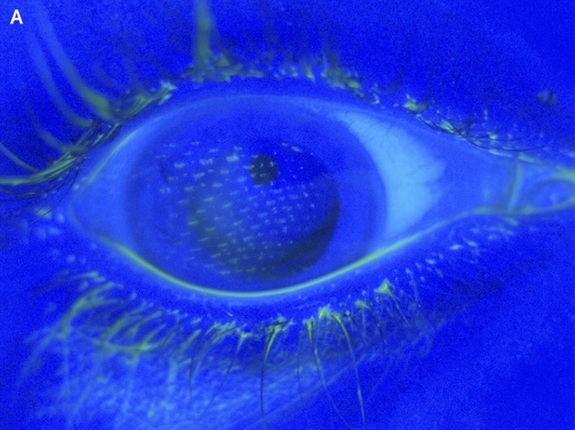 The pattern of the abrasions on this girl’s cornea, seen here with fluorescein staining, is from the fabric of an airbag. She didn’t have time to blink! This entry was posted in Uncategorized and tagged Airbag, Corneal abrasion, Fluorescein. Bookmark the permalink. Cheers Brian for the great hint, actually non-developers such as me personally should yank that down: )This is really essential for any multi-international internet site on the subject of SEARCH ENGINE MARKETING. Many thanks Brian for a great suggestion, possibly non-developers such as us should draw this down: )This is really essential for some sort of multi-international web-site with regards to SEARCH ENGINE OPTIMISATION.